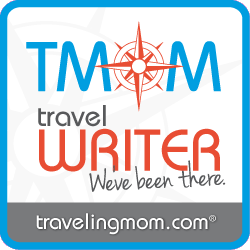 Want to get started as a travel blogger or add travel to your lifestyle blog? Want to get free vacations as a travel blogger, but don’t know where to start? I’ve got you covered. 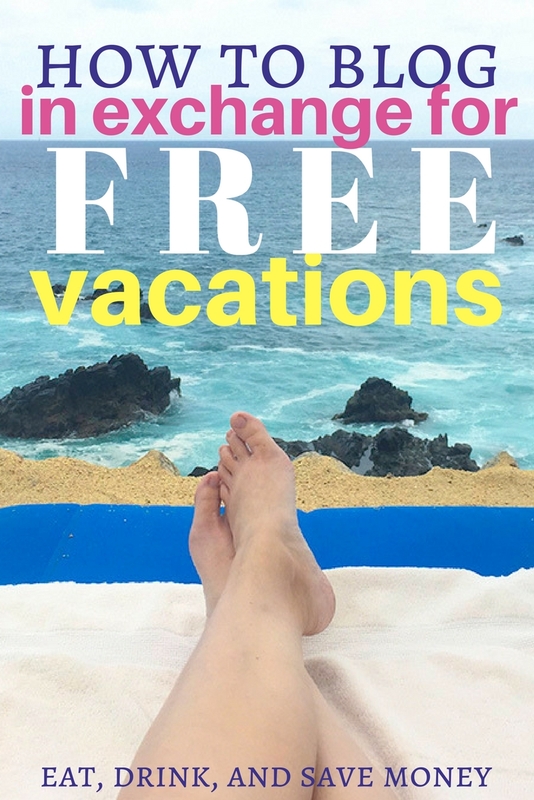 Many friends have asked me how to get started as a travel blogger and how to get free vacations. I’ve answered so many of my friends individually that I figured I should write a blog post about it too! Before you read any further, I want to make it clear that this is mostly geared for lifestyle bloggers who are looking to add travel to their blogs. Why? Because I’m a lifestyle blogger and not a full time travel blogger. This being said, my approach can definitely be helpful to anyone who is just getting started! I also want to make it clear that while hosted vacations are fun, they are not real vacations. It’s work! Even though my post title says “free vacations”, it’s not really free. You are trading your time and social media clout in exchange for a vacation. Make sure you realize this before you jump on the travel blogger bandwagon. I go into more detail about this in the last section of this post. When I first started travel writing I didn’t realize I could get free hotel rooms, I was perfectly happy with reduced media rates. That worked well for a while and actually helped me get some good experience. It took me a couple of years to realize that I should be going about it all different. I learned most of this from attending conferences and talking to other travel writers and travel bloggers. Pro Tip: Conferences are the best place to make connections with other writers and destinations. It’s well worth any money you’d spend on conference fees. Here is a great list of travel writing conferences from 2017. I’m hoping she updates it for 2018 soon! Spend some time going through old vacation photos and see if you have any that are good enough to include in a blog post about that vacation. Get a few great articles on your site before pitching to destinations. Make sure those articles have good metrics too! Share them on Facebook, Twitter, Pinterest, and Instagram so you can prove that your audience is a good fit for travel related articles. Quality pictures are key! Photography is almost more important than the writing when blogging about travel. You don’t have to be a professional photographer, but you should learn about photography. I learned most of my photography skills from talking to real professional photographers and watching YouTube videos. It’s easy to make the mistake of contacting hotels and attractions to set up your own itinerary. Don’t waste your time doing that unless you have to. Contact the Convention and Visitors Bureau (CVB) or Destination Marketing Organization (DMO) for the city first. Oftentimes they have the best contacts because the bureau essentially works as a PR company for the city. CVBs have lots of resources that vary by location. For example, some have paid me to visit, booked my hotel room, paid for all my food, transportation, and events. Other cities offer VIP passes for 2 people to get into attractions for free. For example, Key West and Orlando both have awesome VIP passes that include admissions to theme parks and even booze cruises. Key West has the option for a helicopter ride! It’s also important to know that some CVBs are hard to work with because they have so many rules. Once you hear back from the CVB then you will know what else you need to set up on your own. From there you can set up your own hotel stay, meals with restaurants and all sorts of events to fill the gaps left from the CVB. The CVBs are used to being pitched so you don’t have to be specific on what you want, unless you know your audience is niche specific. For example, my audience loves free stuff and good deals so I always make that known in my pitch. It’s a little more difficult to work with hotels, restaurants, and activities on your own. It can be done though! It takes a lot of time to find the right contact and pitch them. I find that it’s best to be very direct when you’re dealing with people one on one. They don’t always understand social media influencing so you have to explain exactly what you want and what you promise in return. Read more about social media influencing here if you are new to this. When working with potential clients, it’s always good to share your numbers- your page views, reach on social media, etc. It’s okay to have low numbers as long as you can prove that those numbers are highly engaged members of your audience. It’s absolutely fine to be a micro-influencer who has a real influence over a small number of people. I recently chatted with a tourism PR & marketing professional whose job is to vet bloggers before they work with destinations. She made it clear that while numbers are important, authentic engagement is just as important, if not more. If you are looking for a way to grow your following, then you need to read this post about social media influencing. It is always a good idea to know your worth! Sure, you may only be asking for a free hotel room, but what’s keeping you from telling the hotel what a great deal they are getting from you. 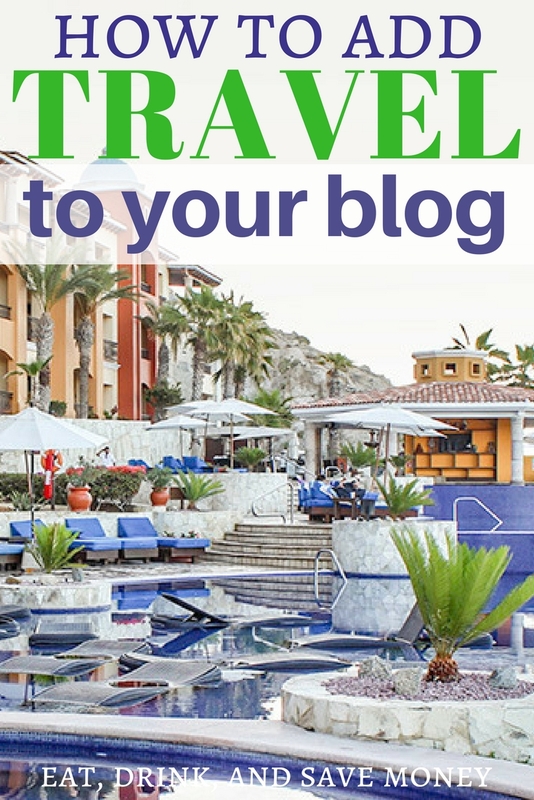 You may get a hotel room worth $200 and give them $500 worth of coverage through your blog and social media shares. Let them know that! Let them know they are getting a great deal by working with you! And yes, it really is a great deal for them. A free hotel room in exchange for online coverage that will live online forever is a steal of a deal compared to traditional advertising where the hotel pays thousands of dollars for a print ad that is tossed in the trash. I use Social Blue Book to find my worth because it’s free. I love that I can show potential clients my value. It’s also a great way to show them how much they can expect to pay if they want extra coverage beyond what we agree upon. You should treat your hosted stay like a job because it is a job. Yes, it might be a way to get a free vacation for you, but you also have work to do. While you are there you should be tweeting, Instagramming, Facebooking, etc. Destinations almost always want you to do social media while you are there. The writing can wait until later. Make sure to research and use the right hashtags for your destination/ activity/ restaurant. You can even tag them in your post. Do this and the destination may share your post, getting you more views and potentially even more followers! If you are working with a destination, they will give you the hashtags and handles to use. You should also make sure to use #hosted or #______partner (like #BeachesPartner or #CarnivalCruisePartner) on all social media shares about things you did for free. Learn more about the Federal Trade Commission (FTC) guidelines on hosted travel here. Pro Tip: You don’t have to do all your social media shares live. Feel free to take some photos and notes and then schedule some social media shares for the next day before you go to bed. This can help you live in the moment and enjoy your trip. All you need is a couple of live videos to Facebook and Instagram stories, you don’t have to be live during your whole trip! Once you get back, it’s a good idea to put together your social media metrics and send it to the hosts as a thank you. A lot of travel bloggers do not do this and I think they should. I always get a huge thank you from my hosts and then they continue to ask me back for more events. This is important too because many CVBs are managed by outside PR groups that manage several CVBs. Once you get on the PR contact list you will be invited to more events such as familiarity (fam) tours where a group of writers all travel together to experience a destination. You can make the PR group and CVB even happier by amplifying your social media shares while on your trip. This is when share threads come in handy. Join a few social media groups on Facebook and get a few more eyes on your tweets. Do this with caution though. Not all platforms respond well to share threads and you could be shadow banned. Finally, you need to write your post and then share that post on social media. It’s a general rule of thumb to have your post up 2-3 weeks after you return from your trip. I hate to burst your bubble, but you’re probably not going to make your millions as a travel writer. While there is plenty of money in the travel industry, bloggers are rarely paid to cover travel on their own blogs. This doesn’t mean you won’t get paid! It just means that it might be difficult to make a living off of travel alone unless you have a huge following or are charging destinations for social media shares and other products like your photography or videos. Remember that you will also make money off of page views if you have ads installed on your website. I know established travel bloggers with large followings that still pay their own airfare for most of their trips. Pro Tip: sell your services to destinations in order to make money. Do you make amazing videos? Show them what you can do and offer to make one just for them to use for a certain price. Since payment is not guaranteed, you should always ask for as much as possible when covering a destination. I never go on a trip unless transportation is covered. You should also think about your food at a destination, parking at the airport, etc. It adds up fast so don’t be afraid to ask for a per diem to cover those kind of costs. The worst they can say is no! You have to be your own advocate and ask for those things. I can’t tell you how many times I’ve been on a press trip where I had my airfare paid but other bigger bloggers didn’t, only because they didn’t think to ask. If you don’t ask for transportation costs and a per diem, you could easily lose money on those costs. 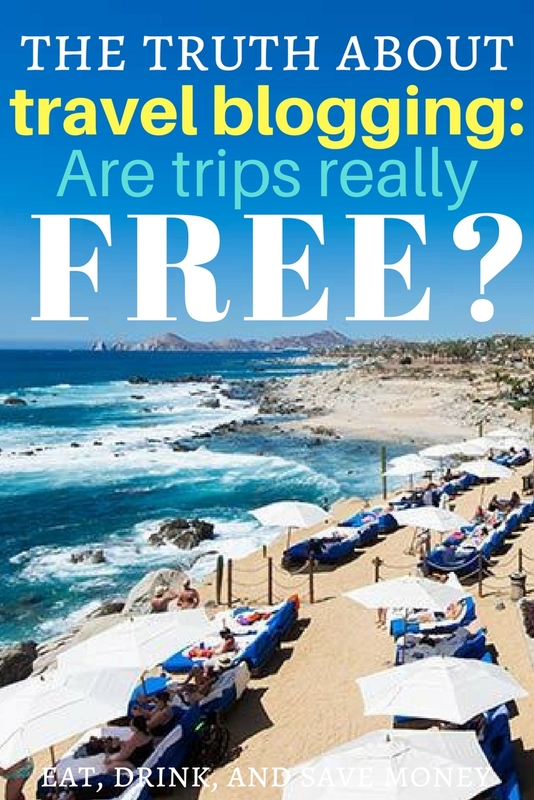 Sure, you got a “free” trip, but what did it ultimately cost you once you added up all the small expenses and factored in the cost of working the entire trip? I hope these tips help you feel more confident adding travel to your lifestyle blog and asking for free vacations as a travel blogger. As a social media influencer, travel writing is one of my favorite hobbies. It doesn’t pay the big bills, but it allows my family to do all sorts of things we wouldn’t have done otherwise. What tips do you have that I may have missed? What a great post with such awesome advice! What a great post with such awesome advice! Although I may not be even a microinfluencer yet, I’m certainly going to try after reading this article! Thank you! You probably have a lot more influence than you think you do! CONFERENCES – you are 1000000% right in this advice!!!!!!! I need to go to more travel conferences, FOR SURE! Please do! And reach out when you schedule one. Maybe we will be at the same one. I’d love to meet you in person! Love all your advice! I hope to do more traveling!! I hope you do too! I’d love to do some traveling with you. I am planning on going to my first blogging conference this summer, but it will be Haven… which, is more DIY/craft. But, still… it’ll be such a great experience I am sure. I was taking to another blogger that is going with me and we were wondering if there was anyway possible to get our hotel, transportation and maybe even the conference fee paid for… but, I have no idea if that is even possible. Do you have any advice on that? I need to read some of the other posts you linked up to this one, so many great tips! Thanks for sharing!!! :) Also, how many ‘paid’ blogging trips have you done so far? This sounds awesome. 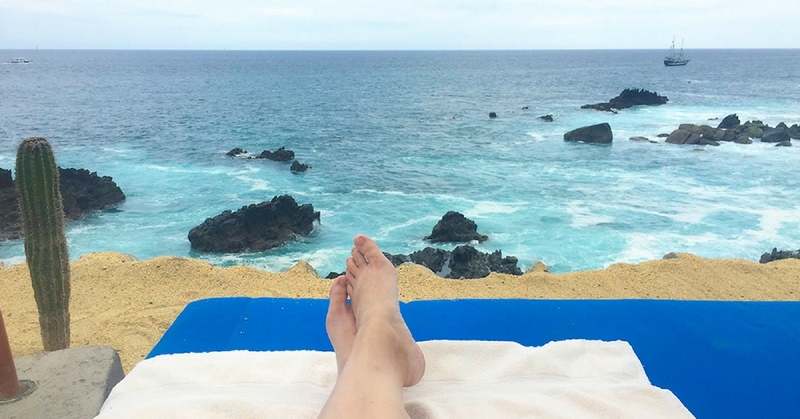 I am more of a lifestyle blogger, too… We do go on a lot of vacations, tho and I do blog about them! They’re usually during the summer, though. It is harder for us to get away during the school year! I’m with you on not wanting to pay for the hotel during conferences! With the influence you bring, you should definitely get one for free. I find it hard to get the host hotel to give free rooms though. They are already getting so many people to pay for rooms for the conference that they don’t usually see much of a benefit. Try contacting a hotel near the conference. Definitely contact the local CVB for hotel recs. You can also try contacting Haven themselves and see who the sponsors will be for the conference. Ask if any of the sponsors are looking to work with influencers to promote the conference. I was able to get paid $700 to promote BlogHer by working with Dramamine. I paid for my conference fee ($300), so the paid post more than made up for my conference ticket! Basically, there is no shame in asking! Thanks! I am so glad it is a helpful post. It took me a while to figure it all out so I wanted to help my fellow bloggers! Hannah, thank you so much for sharing! This is a great post, being true to the headline. Who do you ask to cover your transportation costs and a per diem is it the CVB? Who can you suggest that requirement for, any company your working with or that is depending on the extant on what you are doing? I do always ask the CVB, but it’s not unheard of for a resort to cover transportation and per diem too. It’s not usually the CVB or the resort managing it, it’s usually a PR firm that they have hired, so essentially you get paid from the PR firm. It really depends on the CVB though. Some have it in the budget to pay for transportation and some don’t. I always ask because the worse they can say is no. I will say that you have better luck getting everything paid if you offer more. Don’t be afraid to put it all on the table and sell your services. Making videos and sharing on social media is a real job and you should be paid for it if it’s something the destination wants you to do.